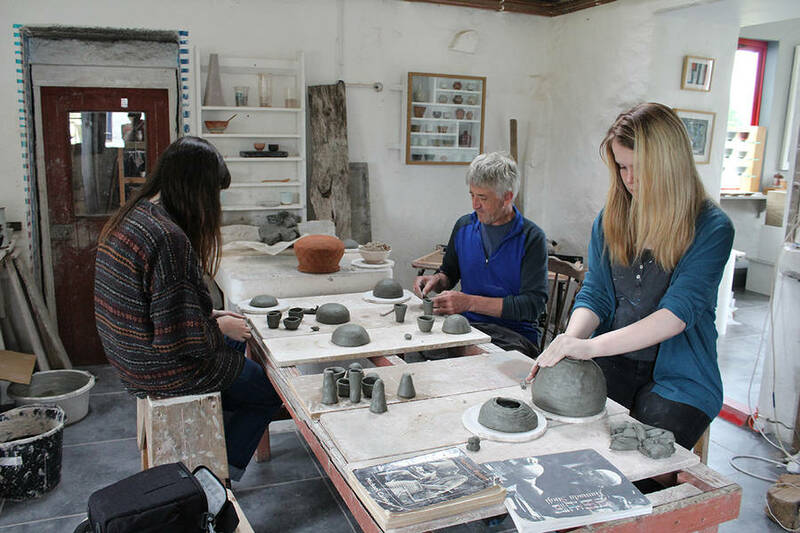 On our last potter's studio trip we visited Andy Priestman at his studio at Minniwick, near Newton Stewart. We saw the two chambered kiln that Andy fires his pots and learnt a little about the process involved in firing it. He fires in reduction and this gives him the beautiful colour variations in his pots. We learnt about local clays and glaze materials that Andy gathers himself and how these affect his work. We made some coil and pinch pots in a local clay, collected by Andy, and which was used by potters thousands of years ago. We will raku fire our pots in a few weeks time at Hannah and Doug's studio. It's really exciting to think how the landscape directly around us can shape what the pots look like and it was really great to hear Andy talk about this. Thank you!